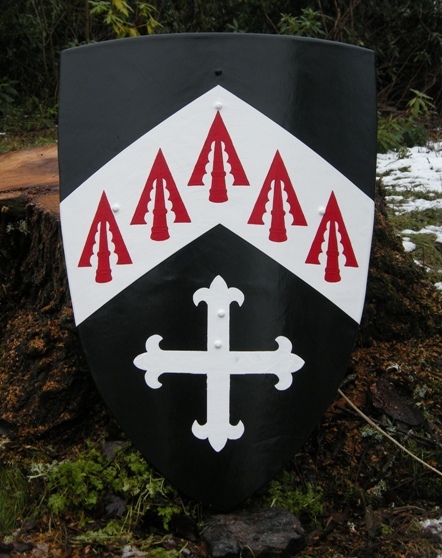 Here's my Kite Shield. 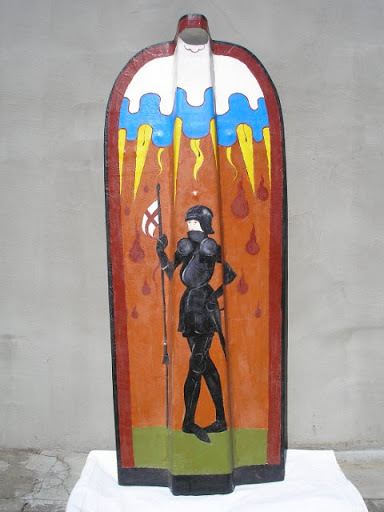 Made and painted by an Australian at Shields of Rouen. Makes a nice living room decoration too! 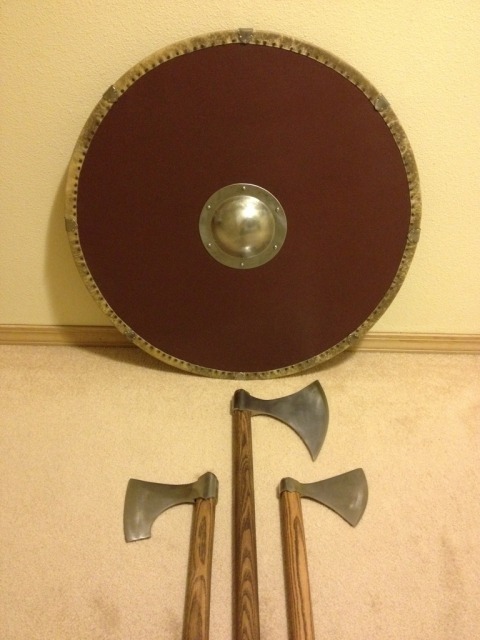 Some nice shields and pavises. 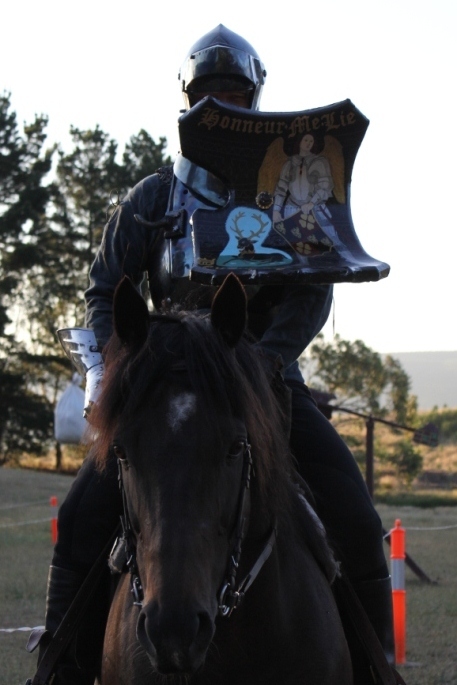 An ecranche I made for jousting with historical solids. 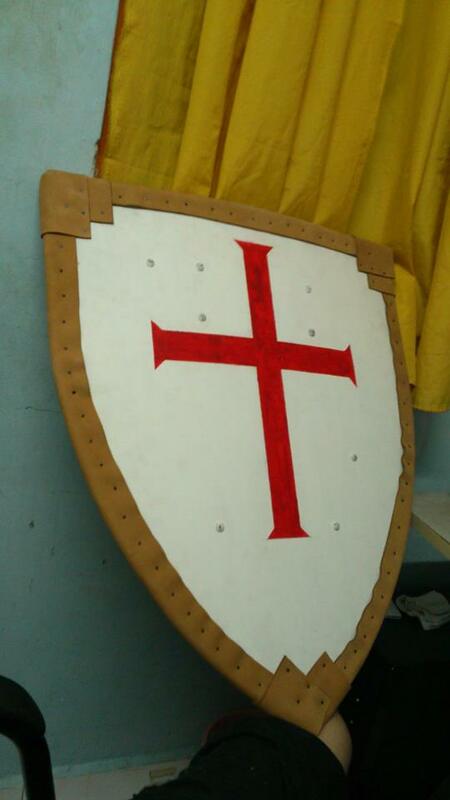 You guys sure made some amazing shield, here is my humble templar shield. 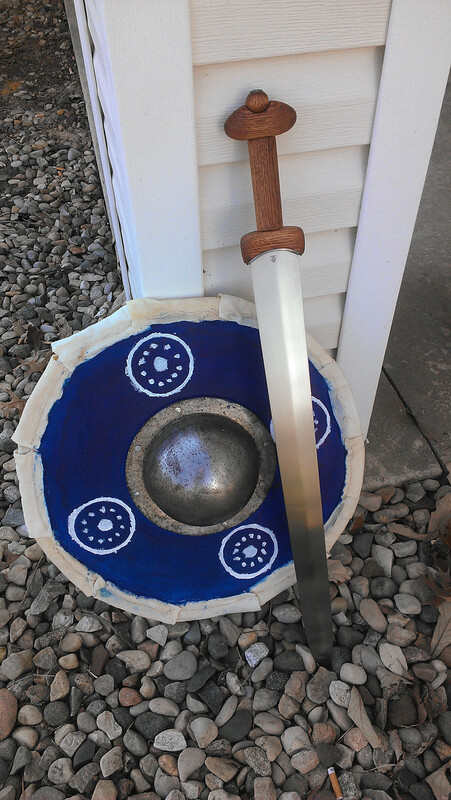 Hey guys, here's my Late Iron Age Irish sword and shield. 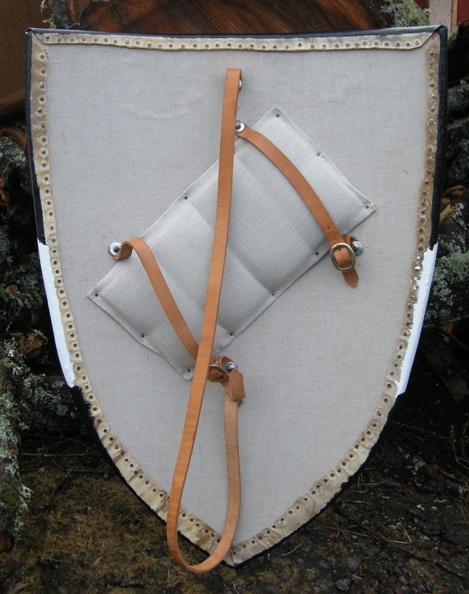 This was the first time I made a proper shield, I never new stitching raw hide was so hard! 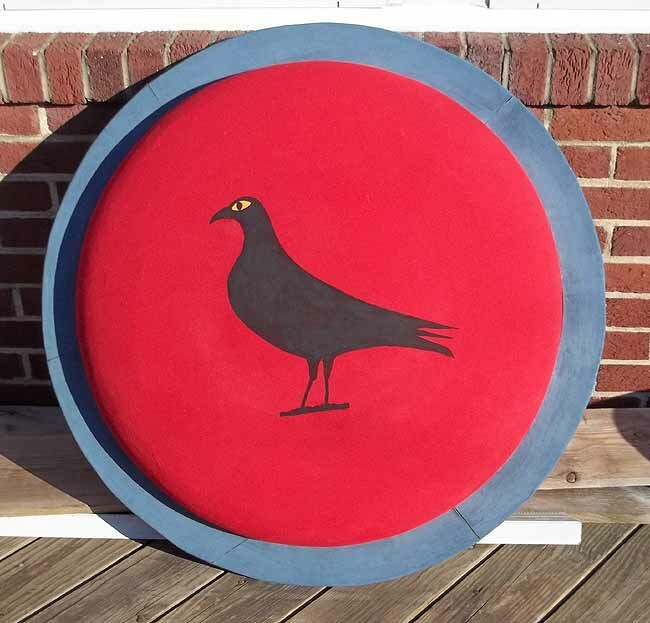 It’s 18 inches diameter, faced with linen. With a red oak spine/handle. I wanted to use alder for the base, but I couldn't find any so I got a nice light oak instead. 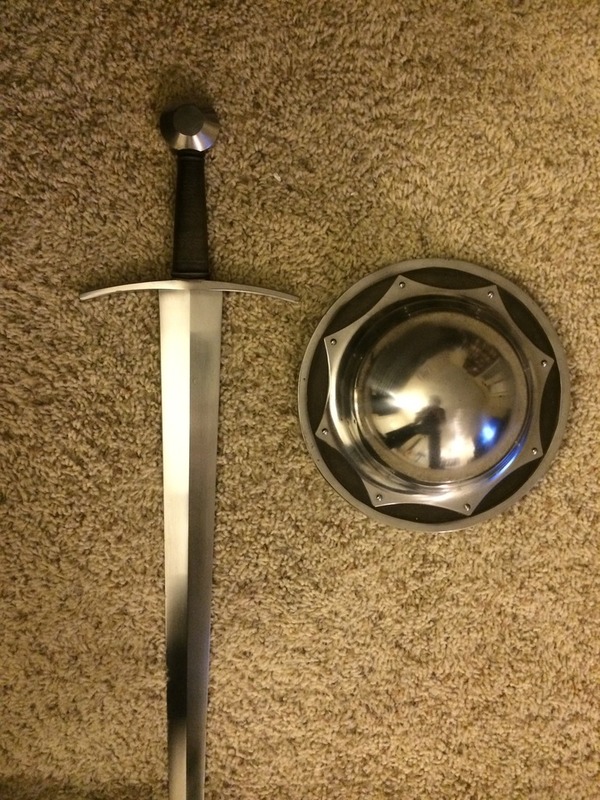 The sword was made by B. Stark from Kelticos. 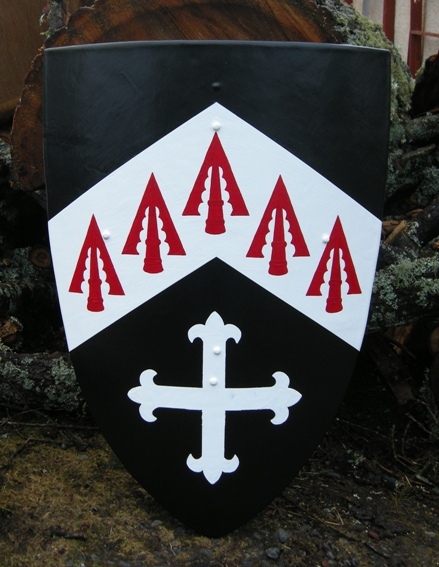 The last shield I've made, after sustaining some battle damage in several events and subsequent repair and re-paint. 2 x 4 mm plywood, cotton covering and leather edge. The blackened umbo was hand-forged by St30 steel. 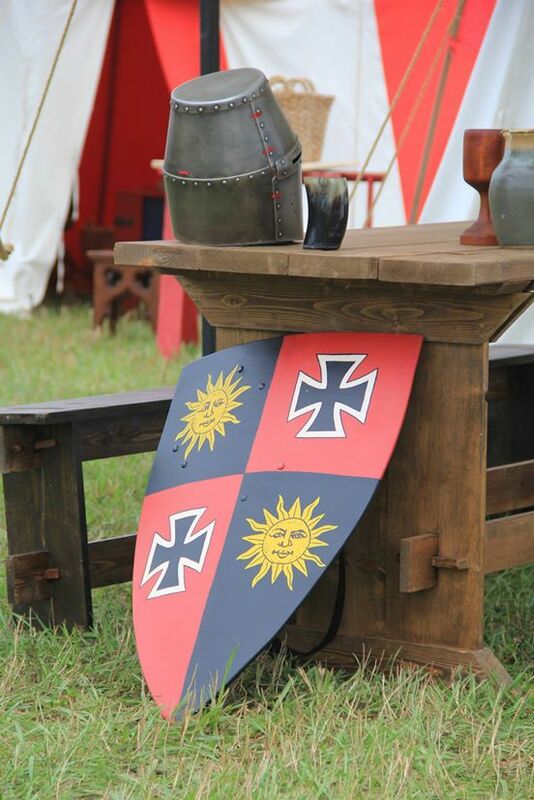 My shield for SCA combat. Gules, 3 escallops inverted or. Also my Avatar. Guess I better try to keep up with the Joneses--and it won't be easy! Lotta good stuff here. This past year I've been in a Greek mood. Frenzy, really. Made a ton of stuff. 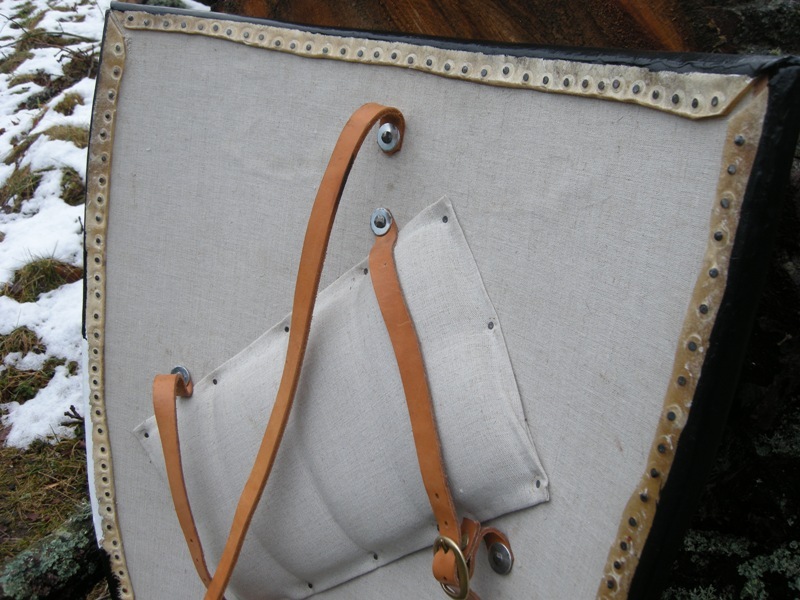 My current aspis is poplar with fabric facing, wool felt backing, leather on the rim, and bronze fittings. I recently got an unfinished shield bowl made by Christian Cameron using ash strips, based on the Chigi Vase. I stripped off some less-than-successful modifications which had been done to it, and finished it up with a linen face and casein paints. I left the back uncovered, as shown on the Vase. 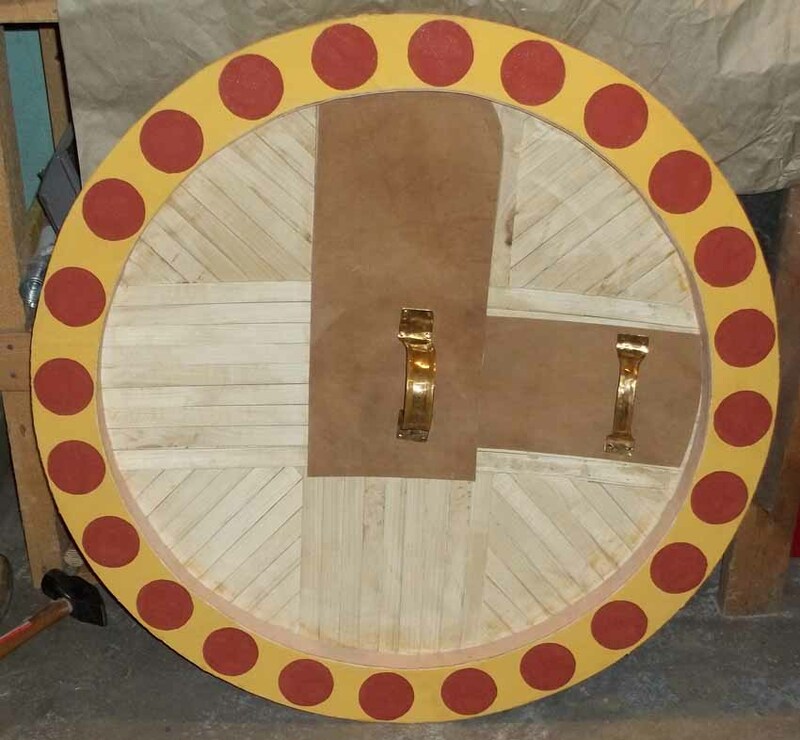 I had been planning to make my own Thracian pelta shield by weaving ash strips, but then I got a wicker one from a friend which was tons better than anything I could accomplish! 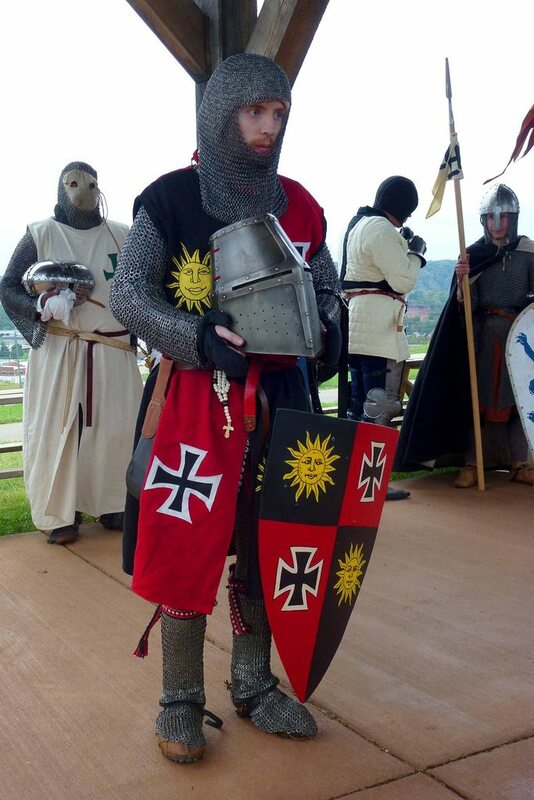 So I added straps, covered the face with leather, and painted a nice Thracian emblem on it. A couple years ago I was in a more Bronze Age mood and built a Romulus impression. 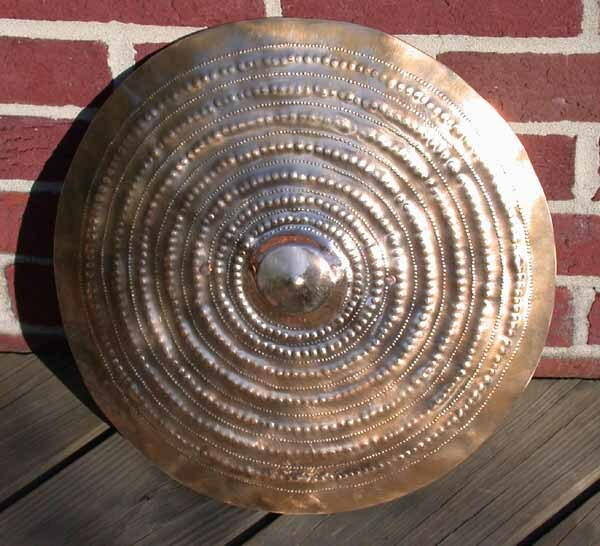 The shield for that is based on a bronze one from the Axel Guttmann collection, just under 14 inches in diameter. I've probably missed a couple! These are the highlights, though. Enjoy! 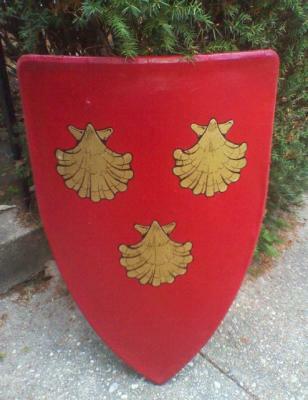 The shield is too big and heavy for use, this is just to display the Arms in the hall. Though it is only for decoration, I did replace the horrible drawing pin-like upholstery tacks Shields&Shoes use with some more suitable flat headed nails. Nothing fancy - just the generic, basic type. 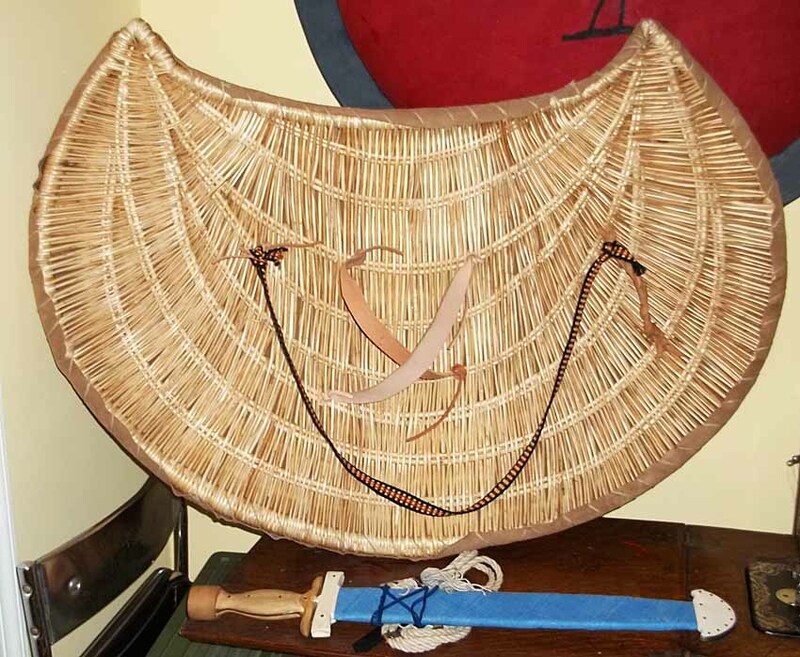 Here is an assortment of shields in various stages of "done"
They are made from formed plywood, then covered in fabric and in some cases also leather. 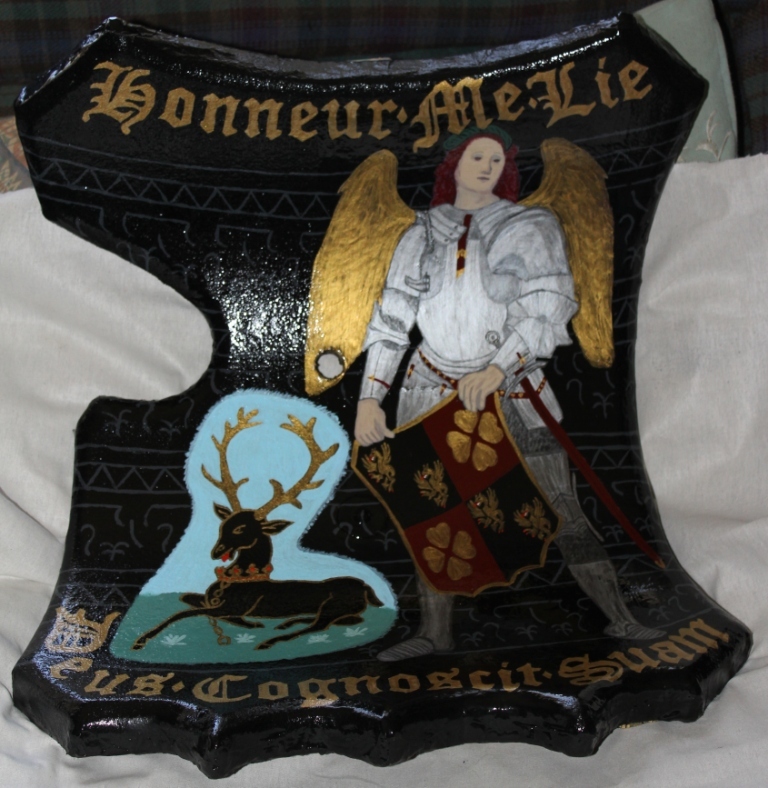 Then based with hideglue and chalk-mixture, then painted with period pigments in caseine or linseed oil. I am particularly fond of the little tartsche, I will definitely make more of those! Recently, I was challenged if I would be able to make several plank shields. The planks are lime (known also as linden or basswood), covered with two layers of linen on each side and raw-hide on the front; the straps are cow-leather, all nails - hand-reforged. I plan to share the whole making-process in a separate DIY thread. 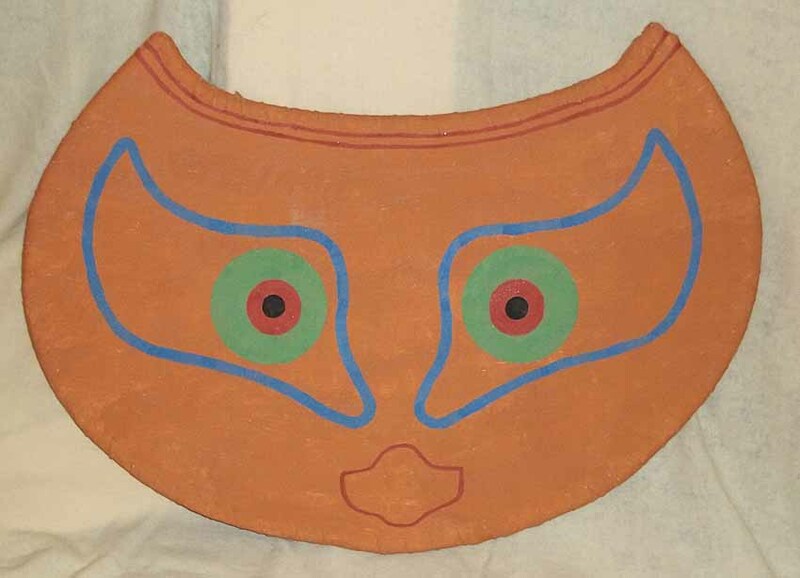 There were several things I would change about the shield I made there, but I have not had an opportunity to do so yet.I look forward to being able to compare notes with you and perhaps better myself for it! 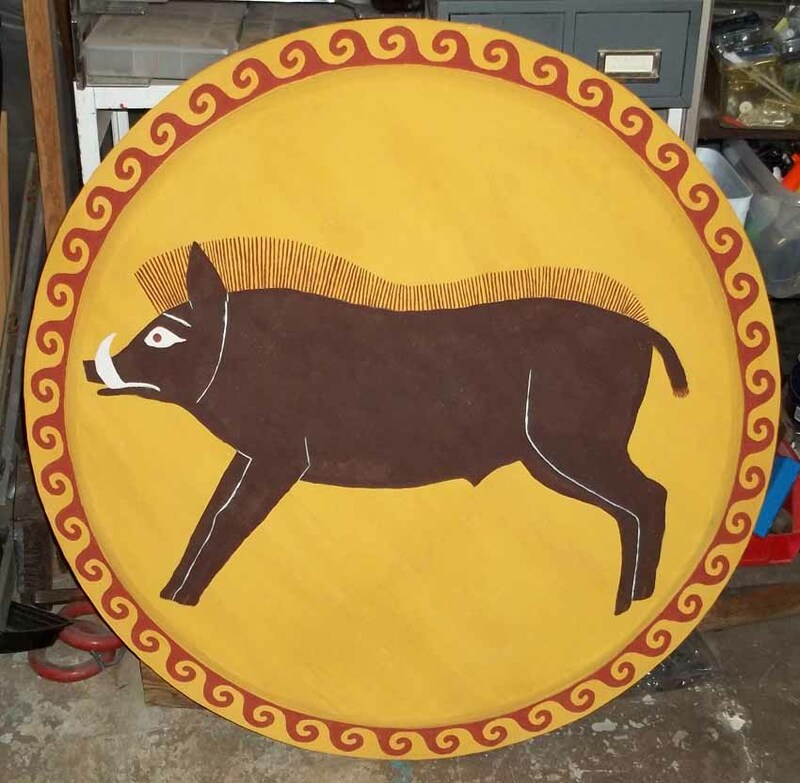 Alas, I do not think I can share any more of the shields I've made because I've slowly been trying to get a part-time business off the ground, and I think it's against the forum rules. Great link, Gregory - thanks for it! As we will see soon, my way is very different, and far from historical. Here's mine. 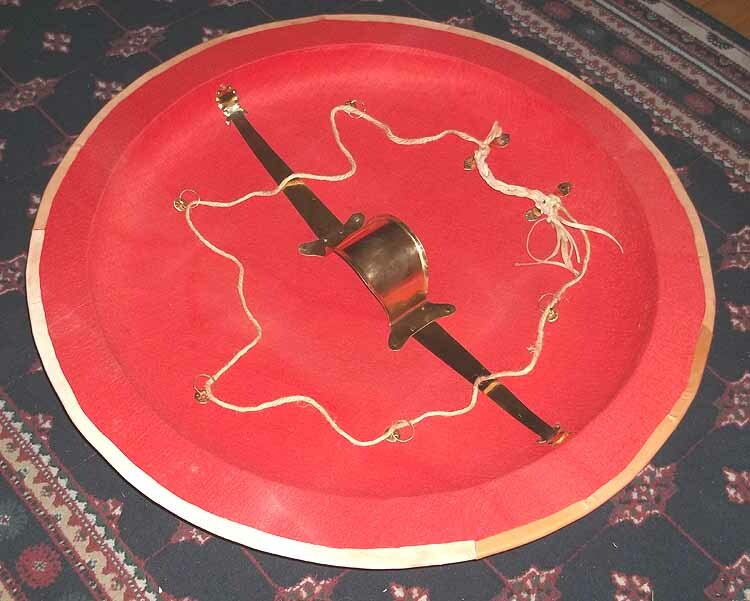 A steel buckler made by Parker Brown of Crescent Moon Armoury.